Life happens, especially in busy households and bustling business. From spilled drinks and dripping shoes to leaking appliances and inclement weather, there are a lot of ways your floor can get wet. Prevent water damage and stains from diminishing the beauty and value of your property by choosing a waterproof floor for your home or workplace. 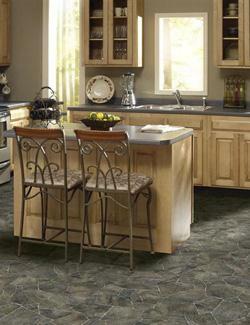 Our store is proud to be a premier source for waterproof flooring in Lafayette, LA, and the surrounding areas. With our immense inventory boasting products from some of the nation’s favorite manufacturers, you are sure to find a surface that meets your lifestyle needs and suits your stylistic preferences perfectly. Visit our showroom to explore products from trusted brands like Tigressa and Downs. Not sure where to start? Talk to our helpful showroom staff to learn more about the options available to you. Our team members are always happy to give you in-depth information the products you are interested in and make recommendation tailored to your specific project. They are also a great resource for learning more about waterproof flooring and its many benefits. Stop by our showroom today to start looking for the perfect floor for your home or business. Spend less time cleaning and more time enjoying life by installing a waterproof vinyl surface in your home or business. With waterproof luxury vinyl flooring, spills and stains are easy to wipe away and concerns about water damage to your flooring are a thing of the past. Furthermore, these floors are very easy to maintain, so they look great many years after installation. Homeowners and business owners alike love this flooring because it offers them a diverse array of style options. No matter if you prefer the classic look of hardwood or the elegant appearance of tile, there is a vinyl product for you. There are also a wide range of contemporary patterns and bold colors to choose from. Vinyl is one of the most versatile flooring materials on the market, so it can be used to achieve nearly any kind of interior design aesthetic. Discover the ideal waterproof vinyl flooring product for your project by browsing our inventory and talking to our sales associates. “Waterproof” and “carpet” may not sound like they should go together, but thanks to modern advancements in manufacturing, carpet is now more resistant to moisture damage than ever before. Our collection of waterproof carpet products are made with a special backing that lends the surface an addition level of protection against water damage. Furthermore, the fibers are specially designed to be highly stain resistant, stopping spills from setting in and ruining your carpet. There is no need to compromise on comfort on protection. With these innovative carpets, you can have both in your home or business. Explore our showroom to feel the plush textures of our carpets and learn more about their moisture resistant properties. We look forward to helping you make your space a better place to be. Contact our store to learn more about the many waterproof flooring products available now with our financing options. We proudly serve Lafayette, Carencro, Youngsville, Broussard, and Scott, Louisiana, as well as the surrounding areas.